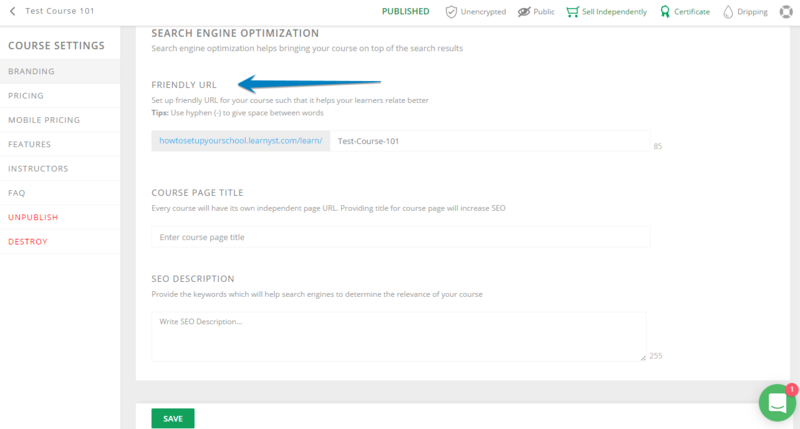 Always have a user friendly URL for all your courses, so that users can remember the course link. It also helps SEO. Because appropriate and related URL helps your course to be on top of the search results for the related keywords. To assign the URL go to Courses > [Your Course] > Course Builder > Settings > Branding > Friendly URL. Enter the URL and click on Save.